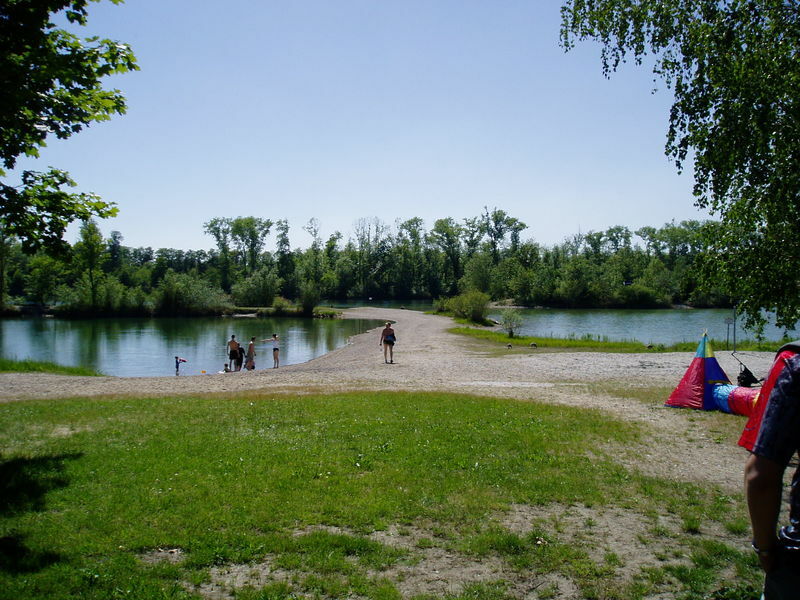 The Streitköpflesee, also called Baggersee Linkenheim ("BaLi"), is a popular place for swimmers and divers. Please do not feed the water birds! You have to go from Karlsruhe to the B36 in the direction to Linkenheim. Leave the road at Linkenheim-Süd and follow the road. After crossing the tram rails you have to follow the road until you reach a big chestnut tree. Than follow the sign "Badeseen".